PHOTO PROVIDED Covington’s Brooke Wilcox poses with her MLB Pitch Hit Run first-place plaque near the infield at Pittsburgh’s PNC Stadium alongside the Pirates’ mascot on Saturday. 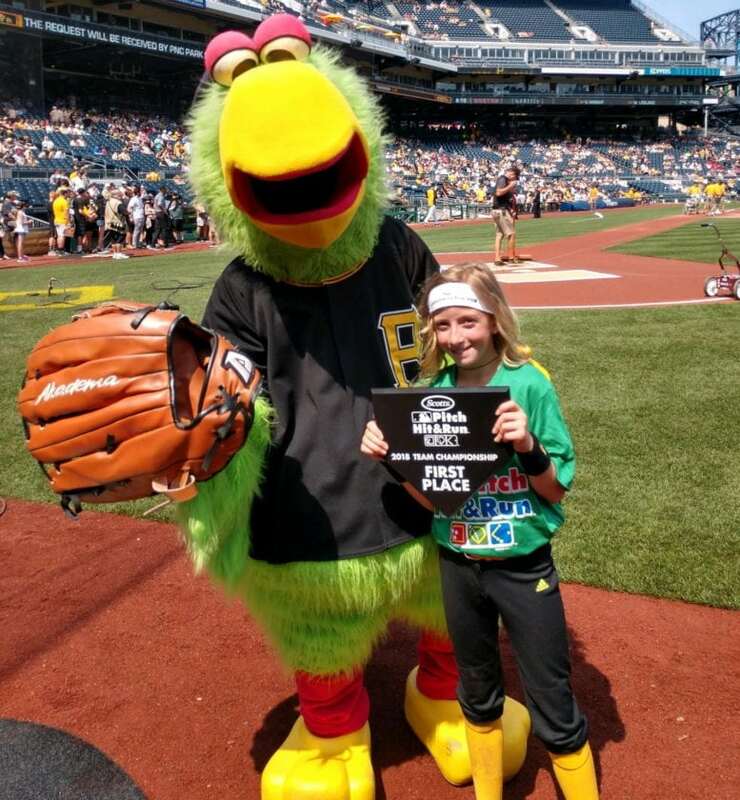 Brooke Wilcox, from Covington, won the MLB Pitch Hit Run championship for the 9-10 year old softball division held at the Pittsburgh Pirates PNC Stadium this past Saturday. Wilcox is the daughter of Chris and Maryann Wilcox. Maryann is the North Penn-Mansfield girls soccer coach. Brooke Wilcox competed at her local PHR competition held by Mansfield Little League on April 28. She won the running part of the competition, which qualified her to compete at the sectional level which was held in the State College area on June 3. After completing all three events, Brooke had the highest score in her division. 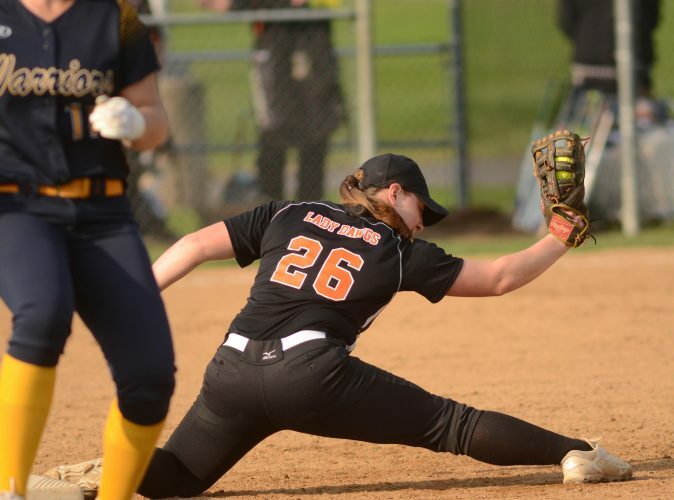 There were four other sectionals in the region with the top three winners out of all the sections able to advance to the Pittsburgh championship. Brooke was determined the all-around winner in Pittsburgh. She was recognized during the pre-game ceremony of a game between the Pittsburgh Pirates and Cincinnati Reds with the other winners from the other divisions. 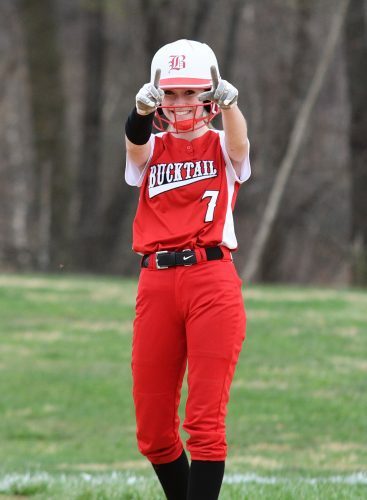 There are 29 other MLB Pitch Hit Run Championships and out of the 30, the top three from each division will be invited to the national championship held in Washington, D.C.
Addie Lehman participated in the 7-8 year old softball division that took third. She’s also from Mansfield.